"Shawn was amazing. I started knowing absolutely nothing and was hoping to get off the ground making music. This course wildly surpassed my expectations and I'm now finishing tracks regularly!" Specifically tailored to new producers, the Ableton Night Program offers the opportunity to begin your journey into creating music. Since classes are at night, you can keep your “day job” until your music career takes off! Pyramind’s facilities include 4 production studios and 2 multi-workstation labs, all equipped with the latest gear. You’ll be working with industry-standard software in great-sounding rooms so you’ll REALLY know how good your music sounds and how well your latest mix will translate to the club. There’s no experience like hearing your music through expertly tuned monitors in a professional studio. Start Producing Music in 4 Months. Ableton Live is varied and deep in its many possibilities for producing music, not to mention it’s countless plugins, sample packs and Max For Live. It’s easy to get lost and bewildered with all these many options. The ANP program is designed to cut through to the heart of what matters most and get you producing great music fast. 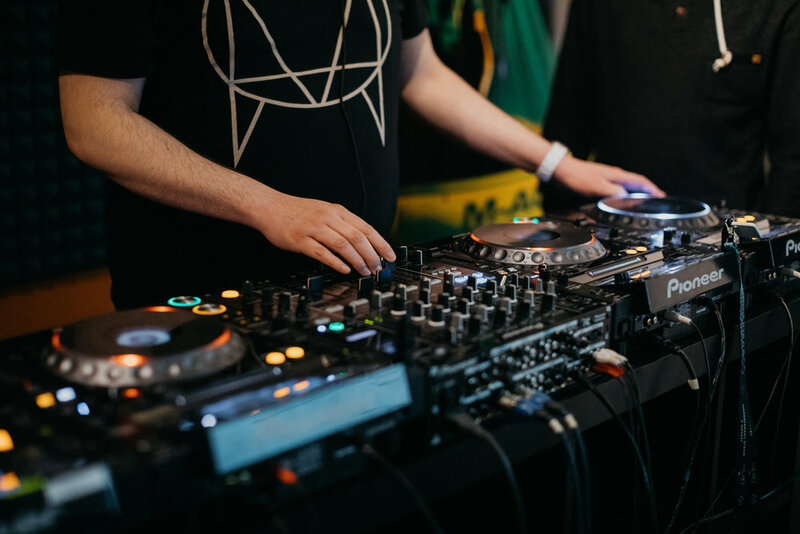 This engaging sixteen week program is designed for working professionals who don’t want waste time and get right to the joy of what makes creating electronic music so exciting. "I have done a lot of music courses on different subjects over the years and I have to say this program is one of the best I’ve seen. The pacing of the class, getting critical feedback, and the supportive environment were tremendous! Just picking the teacher's brain was worth the price of admission. You have an awesome thing going at Pyramind!" - The Live workflow, the music production process, MIDI, warping audio and recording. - Devices within Live Suite, working with racks. - Arranging Songs in Live. - Automation for production, sound design and mixing. - Sourcing and adding clips and samples to your song. - Using the built-in synthesis devices in Live. I wanted to take a moment to thank you and Pyramind for the great experience I had during the ANP. Shawn was engaging and thorough - his ability to read the class and see what they needed was really impressive. I really enjoyed my Pyramind experience. Thank YOU"
All courses in the Core are held at our San Francisco ground campus location. 64 hours, twice per week, 2 hours per night, 16 weeks. Students will produce a final portfolio piece. All Access Studio Pass is granted for use of our multi-workstation labs. Extra studio access available for purchase. Payment plans are available to qualified students with low monthly interest. Pre-payment in full discounts available. Tuition - $2,090 (when paid in full). When does class meet for the Ableton Night Program? The ANP program consists of 1 course over 16 weeks and meets twice nightly. When we have a lot of students (which is always! ), we often open a second section. Classes will meet either M/W or Tu/Th from 7-9 pm at our 880 Folsom Street location. Financing options available under $365 per month. Payment plans are available at low interest rates based on credit. Fill out a simple form and we’ll let you know your finance options! Plans are available with terms up to 12 months to match your program. Find out more. Can I get discounts on equipment or software? We partner with industry partners so you’ll get access to the best tools in the industry, at a serious discount. ALL online students qualify for an EDU discount at most major retailers, including Sweetwater. When does the program begin and how long does it last? We enroll in the ANP concurrently with our other ground campus programs - either January, May or September. How much time should I dedicate each week to do well in the program? We recommend roughly 4+ hours per week per class. Since class meets 4 hours per week, we'd recommend the same amount of time (or more) during the same week. That's why there are weekends! The most important thing you’ll need is your passion for learning and producing music! We recommend you already have the tools (computer, keyboard, headphones, Ableton Live Suite 10). If you don’t already have the right gear, use your EDU discounts—provided by Pyramind—to gear up! We have many label relationships and are constantly connecting students with opportunities. This program is meant for beginners so to be honest, getting signed out of the ANP might be tough. However, most ANP students continue on with our Online programs and one on one mentorships which can help you get to that goal! I'm an Internatinal sudent, can I enroll in the ANP? No - International students should look at our Full-Time programs like the Electronic Music Producer program (music focus) or the Complete Producer Program (music and games/ TV/ Film focus). Students in the ANP can repeat the program for only 1/3rd the regular price! This is pretty rare although sometimes, work intervenes and causes issues. Simply let us know about work challenges and we'll work with you to avoid undue charges. You can also book office hours with the instructor - 1 per week - if you need. OR book a 1-1 sessions with any of our mentors! Absolutely! While it might be tough to find time away from work to take our Full-Time programs, most ANP students "upgrade" into the EMP Online program to round out their training while keeping their day job. The ANP is meant to be a full program and is designed for beginners. If you're more experienced than this, you might want to enroll in the EMP online program OR book 1-1 mentorship sessions to round out your skills.